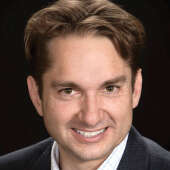 Jon K. Rust is publisher of the Southeast Missourian and co-president of Rust Communications. Elizabeth Shelton, the director of the United Way of Southeast Missouri, has a wonderful, thoughtful way of communicating. She eloquently packs meaning -- and, at times humor -- into her sentences. This talent was on display last week during a United Way Celebration to recognize volunteers, campaign champions, staff and those involved in United Way agencies. Her comments also included thanks to corporate donors, whose funding takes care of administrative costs so that 99 cents of every dollar raised from individuals can go to direct assistance in our community. At the top of the list for corporate donations: Procter & Gamble. Thank you P&G for your support of the local United Way -- and to the employees of P&G for your commitment to direct services through employee giving. Mary Murphy, whose niece is a teacher at Franklin Elementary School, received the Read to Succeed Volunteer of the Year award. 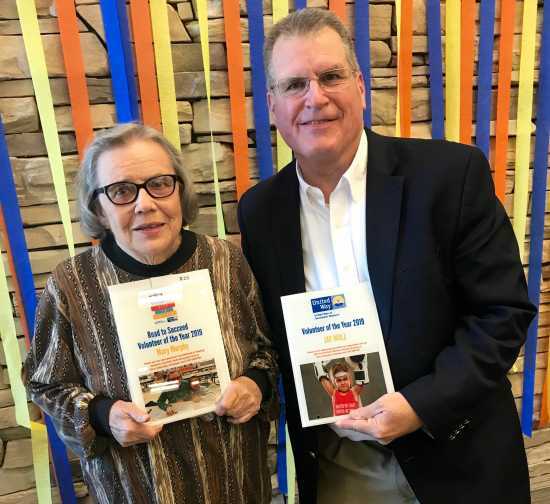 Jay Wolz was recognized as the United Way Volunteer of the Year. At one point, Shelton pointed out, "There is much we can't control" in the world around us. "One thing we can control is our integrity." The local United Way continues to set a high standard for community assistance and improvement. In my last column, I appealed to readers regarding the Southeast Missourian's search for a new business writer. This week, you may notice a new byline in the newspaper: Jay Wolz, Southeast Missourian business editor. Yes, the same Jay Wolz recognized by the United Way for his volunteer service. Jay has been a big part of the community for many years. "Service" is a central part of his attitude toward life. What many of you may not know is that Jay was the editor of the Capaha Arrow while at Southeast Missouri State, and his first job out of college was with the Southeast Missourian, where he worked for five years before joining KFVS. He later returned for another stint at the newspaper -- including as business editor -- before switching to health care management and marketing for 25 years, starting with Saint Francis and ending with SoutheastHEALTH. Along the way, he earned an MBA from Washington University in St. Louis. Between 2012 and 2018, Wolz was director of alumni relations at the university before taking early retirement. Thus, he brings direct understanding of some of the biggest business issues (and employers) in Southeast Missouri -- health care, education, public relations -- along with an empathy toward people (United Way) and experience in media and journalism. We're thrilled to have him on board. When interviewed, Wolz told me the story about one of his last days at the Southeast Missourian before he entered the health care industry: Jan. 28, 1986. It's a date he'll never forget, because it was also the day the Challenger space shuttle exploded. In the shock of that calamity, he drew attention to the breaking news, which led to the newsroom working together to remake the front page under deadline. An hour later, the newspaper was printed and the community informed. Someone eyed him and predicted, "You're going to miss this." That's the thing about working in media. It's not easy, and the amount (and cost) of work is underappreciated. There are many deadlines to manage. And competition is fierce. Many are quick to criticize. Few praise. But it is never, ever boring. And it's incredibly fun working with talented people. Above all, with a servant heart, much good can be accomplished, binding a community together. Welcome back, Jay. My colleague Lucas Presson wrote this past weekend about the Cape Girardeau Rotary Club's 100th anniversary, so I won't delve deeply into that remarkable celebration. Except to say: That night, I returned home, telling my wife that the people in the room -- and the Rotarians and other civic clubs represented -- were the kind of people who made (and make) America great. They are individuals who place community above self not just in belief but in actions, whether through helping to eradicate polio in the world, volunteering with international health missions, assisting local schools, enabling international exchanges or beautifying our environment. The list goes on. At the end of the evening, I came across Jim Riley, Rotary Club member and famed leader of Red Letter, talking to the founders of the Honorable Young Men's Club, sharing with them that, ultimately, "Life is about love." Now, I know that's not a particularly unique or novel thought. But it was the conviction that the view was shared -- backed up by years of public service -- that made it so poignant. Riley was no doubt recruiting. Good for him. The founders of the Honorable Young Men's Club are the type of people to build a future on. Compelling to me, the Rotary Club advocates something it calls "The Rotary 4-Way Test." It represents a moral code for personal and business relationships. Before speech or action, ask yourself: "1) Is it the truth? 2) Is it fair to all concerned? 3) Will it build goodwill and better friendships? 4) Will it be beneficial to all concerned?" It is a powerful code, worth aspiring to. To those who strive similarly, thank you for your efforts. To those seeking to be part of something bigger, consider joining Rotary or another local civic club. Through service, everything old will become new again and the most profound legacy achieved. Jon K. Rust is publisher of the Southeast Missourian. Nice tribute to United Way and Rotary! Also, your comments about Elizabeth Shelton and Jim Riley are spot on! As for Jay Wolz, what a great example of a “community newspaper” understanding the value of a “community guy” with vast knowledge and historical perspective! While your young reporters hone their journalism skills and become familiar with the local landscape, it will be really cool to watch the “old guy” weigh in on stories of local interest. We can’t wait to see what you do Jay Wolz! Jon, thank you for the support you give to our organization and many others in so many ways--personally, professionally, as an individual, and as a prominent publisher. We are delighted Jay has circled back to his roots and look forward to many informative articles sporting his byline.